It's safe to say that calzones are pockets of heaven. After all, they're basically folded pizzas, which makes them even more fun to eat. And with the right ingredients, it's possible to make them with zero animal products! This is perfect if you follow a vegan lifestyle, can't digest dairy, or simply want to eat more nutritious meals. 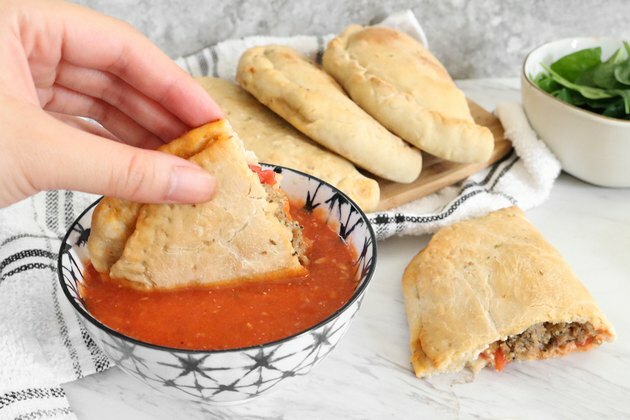 Better yet, it's surprisingly easy to make adorable vegan mini calzones that fit in the palm of your hand. To make even healthier calzones, use whole wheat flour or your favorite gluten-free kind. Just be aware that many other flours are more fibrous than all-purpose, so you'll likely have to use more liquid. Double check the package's directions or look online for pizza dough recipes. In a small pot over very low heat, warm the milk. 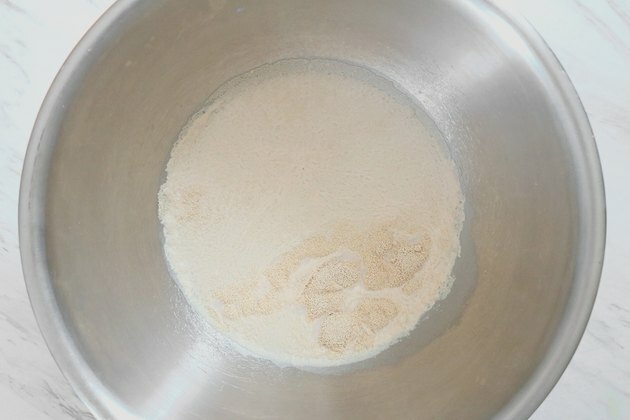 Make sure it does not boil or bubble; hot liquid will kill the yeast. You can also pop it in the microwave for a few seconds. Sprinkle the yeast into the milk. Let sit until the yeast puffs up, about 2 to 3 minutes. Add the olive oil, salt, and 1 cup flour. Mix with a spoon. 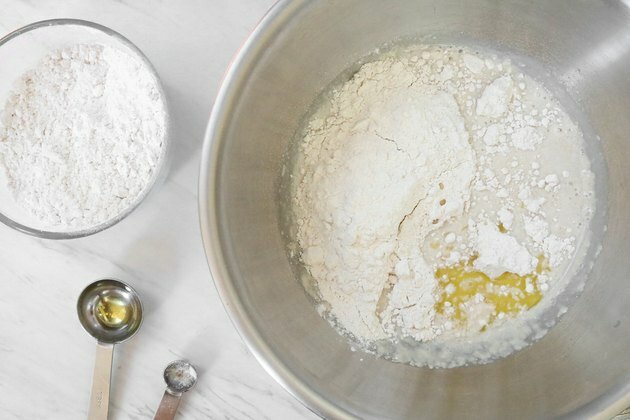 Add the last 1 1/4 cup flour and combine until the mixture forms a sticky dough. Dust your hands with flour. 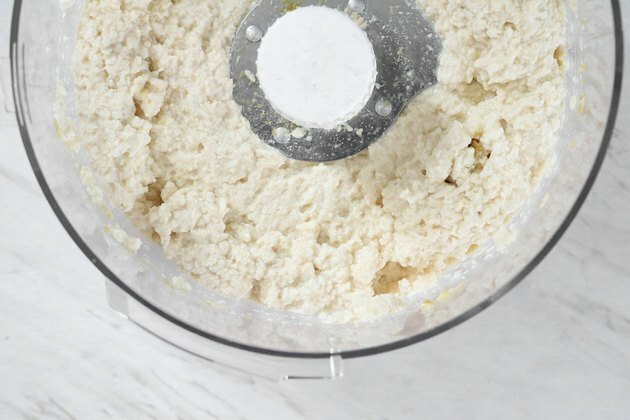 On a floured surface, knead the dough until it is smooth yet slightly tacky. Gradually sprinkle in more flour as needed. 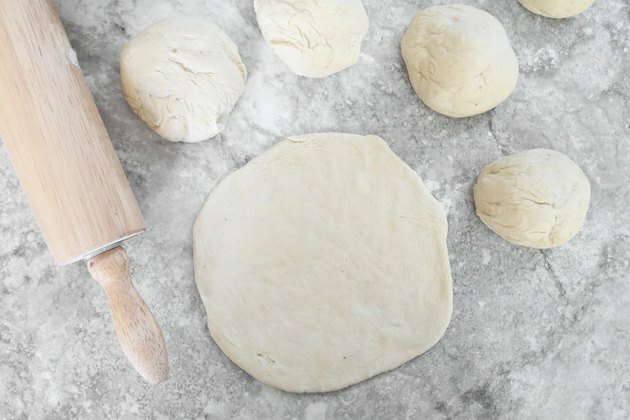 Transfer the dough to a large greased bowl and cover with a damp kitchen towel. Place in a warm area for about 1 hour, or until it doubles in size. 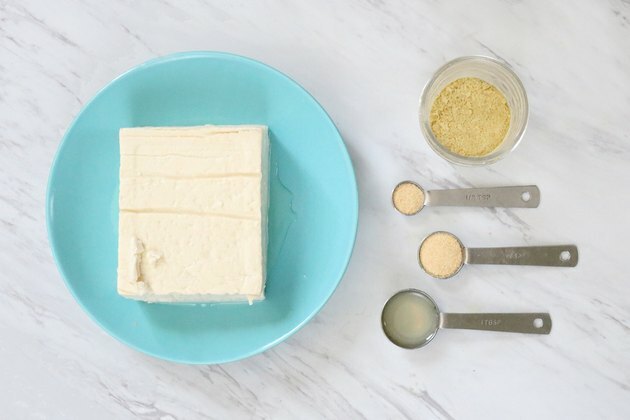 With a fork, break up the tofu into smaller pieces. 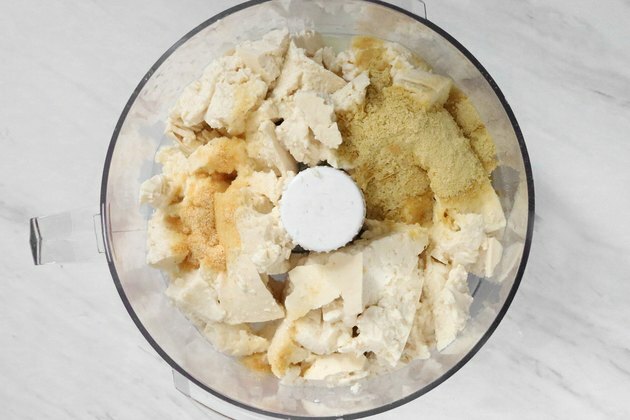 Combine all of the ingredients in a food processor. Give it a taste. If needed, add more nutritional yeast, lemon juice, onion powder, or garlic powder. 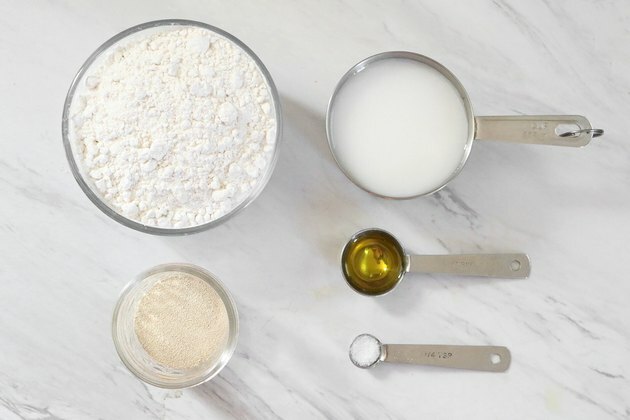 For silkier tofu ricotta, add 1 or 2 tablespoons of non-dairy milk. 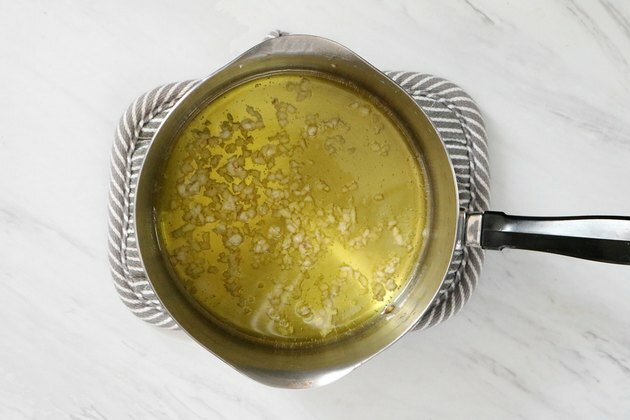 In a small pot over medium heat, combine the garlic and olive oil. Cook until fragrant, about 3 to 5 minutes. Make sure the garlic doesn't brown or burn. Use 1/8 cup olive oil for a thinner sauce and 1/4 cup for a thicker sauce. Add the diced tomatoes, water, oregano, and salt. Over medium heat, simmer for 20 to 25 minutes until the sauce thickens. Mix frequently. After the sauce cools down, toss it in the blender. Puree until it reaches your ideal consistency. On the other hand, you can leave it as is if you want a chunky sauce. For extra flavor, add more spices like black pepper, paprika, or a bay leaf. Don't forget to remove the leaf after the sauce has simmered. Meatless meatballs, cooked spinach, etc. Pre-heat the oven to 480° Fahrenheit. Once the dough has doubled in size, lightly punch it to deflate. Separate into six equal-sized balls. 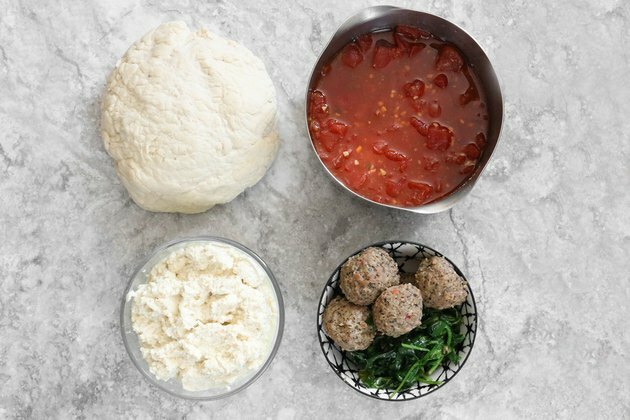 To make even smaller calzones, separate the dough into eight or 10 balls. You can also make a few bigger calzones. 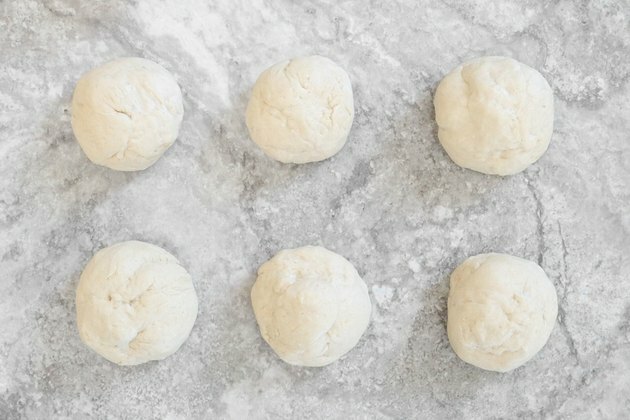 Regardless of how many you need, make sure the balls of dough are about the same size. Lightly dust your work surface and rolling pin with flour. Flatten each ball into a circle, about 5 to 6 inches wide. Add marinara, tofu ricotta, and any other of your favorite fillings. 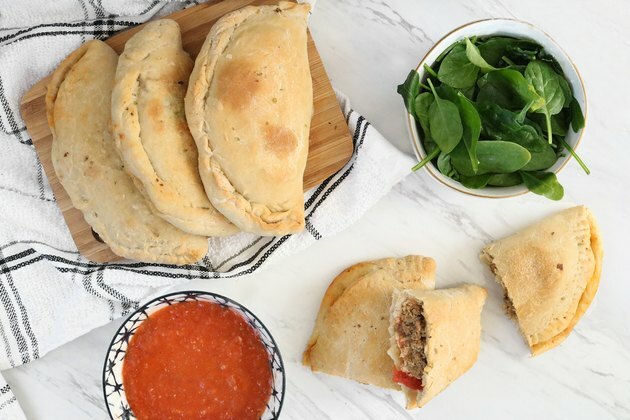 This batch of mini calzones includes vegan meatballs and cooked spinach. 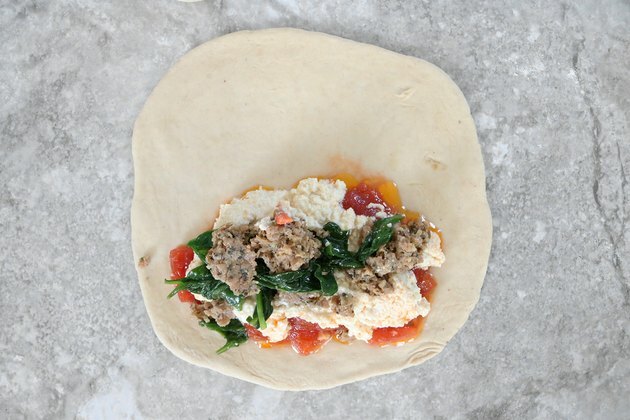 Fold over the dough. To secure the edges, press down and roll up, or flatten with a fork. 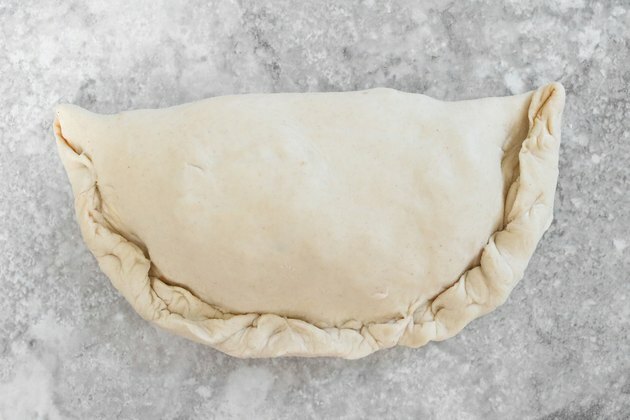 Place the finished calzones on a greased metal baking sheet. Brush with olive oil and add a sprinkling of spices. Bake for 15 to 20 minutes or until the dough turns golden brown. 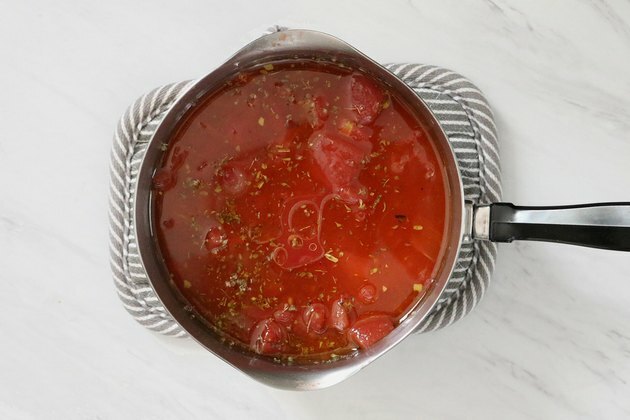 Use the extra marinara as a dipping sauce! 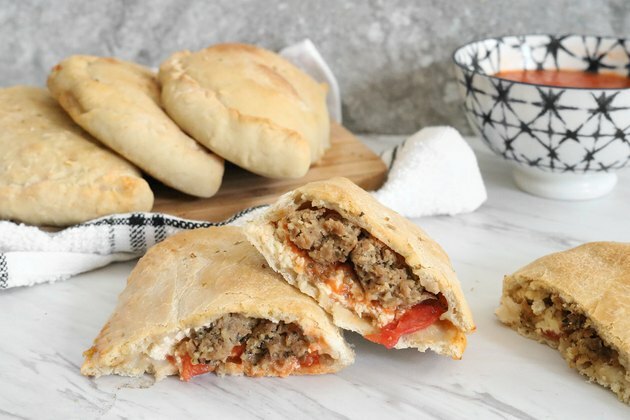 These mini calzones are freezer friendly. They also double as awesome grab-n-go lunches and excellent appetizers. As you can imagine, this recipe can be customized to your heart's desire. Don't be afraid to experiment with tasty fillings, such as mushrooms, broccoli, olives, artichokes, or cooked onions. The possibilities are endless and delicious. Can You Use Phyllo Pastry to Make an Egg Roll?